HRP Game Day with the Astros! Join Houston Relocation Professionals for a fun afternoon of networking at the ballpark. 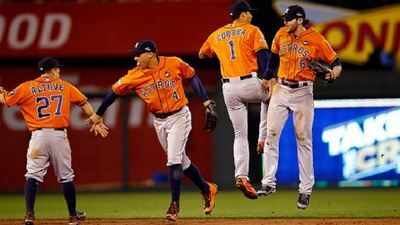 We are thrilled to invite Candlelighters families to join us while we cheer on our World Series Champion Houston Astros! Due to the incredible success of our home-town team, we anticipate a sell-out crowd. Join us for the Second Annual two-day "Houston Relocation Professionals Fall Classic Educational Meeting and Golf Tournament"
More details to come....Save the Dates! More details to come - Save the Date!